Apple’s developer conference is one of the most prestigious developer conferences in the world of technology. It is extremely tough to get the entry tickets as it costs around $1600 and there are innumerable numbers of people who are still willing that much of money. For last few years Apple has been using the lottery system in order to secure fewer number of ticket holders who can be accommodated at the venue. 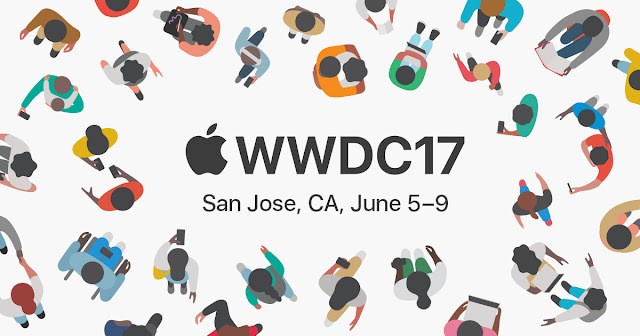 But this year Apple has decided to open the lottery for the WWDC 2017 which mean more people will have a rational chance of getting into the coveted conference. If you are looking to join the developer’s conference then get about booking the seat before March 31 at 10 AM. Apple will simply collect the credit card number in order to charge for the ticket in the said person is elected for the conference. The second most amazing thing about this year’s conference is that it will be happening right in San Jose. It will take during June 5-9, 2017. Apple has moved away from San Francisco event due to rising cost and it is move around the officials, engineers and developers from the head-office to the conference without wasting too much of money. How the day unfolds at the conference? Each year Apple begins the conference on a kickoff keynote right on the first day to keep the people engaged. In the later days major announcements are made and different segment of the presentation are done for over the week long period. The best part about the developer conference is that the attendant gets a chance to have a look at the upcoming products or services from Apple stable. Most of the time upcoming version of the Apple’s varied operating system is showcased to the audience by focusing on the advancement made in the new iteration. This year Apple is expected to unveil the upcoming version of the iOS as well as mac OS along with AppleTV OS and the iwatch OS. In short all the four operating system designed for iPhone, iPad, MacBooks, Apple TV and Apple Watch will get a significant boost in their features. This isn’t breaking news as most of the Apple MacBook line-up has been due for an update for quite some-time. Some are even expecting news to drop regarding upcoming iPhone models but that news is always revealed in the November event which explicitly deals with the launch of new products. Apple has also unveiled the ‘Code of Conduct’ online which lists down the way in which attendants are expected to behave during the conference. It basically aims to provide a harassment free conference for everyone though upholding the best in class services, behaviour and respect for all communities. This year’s event will be lot closure to the Apple’s headquarters which will allow the opportunity to the Apple’s engineer and other officials to make their way to & fro the conference with ease and simplicity. Like everything related to Apple products, the conference appears to be high priced. Wonder when Samsung will organise such a developer conference for 100 - 400 dollar entry fee! Even that will too high for my pocket.